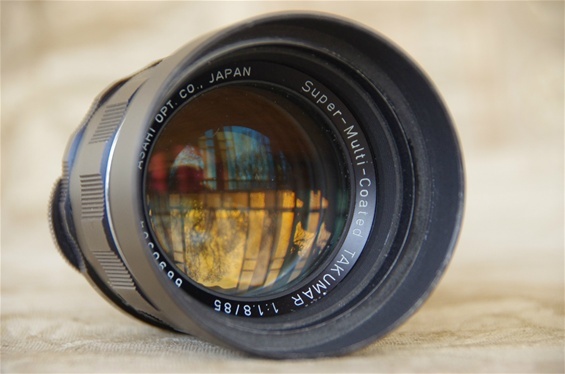 In 1971 Asahi introduced a world news with the Takumar S-M-C lenses: the new multi coated layer on the front glass of the lenses. This new Super-Multi-Coating Takumars added better contrast and colours and reduced flare. 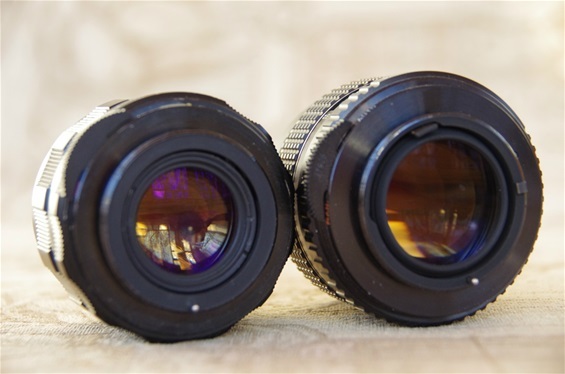 The new lenses were introduced with the SP II, Electro Spotmatic and ES cameras, also featuring new contacts between camera and lens to give automatic metering at full opening. 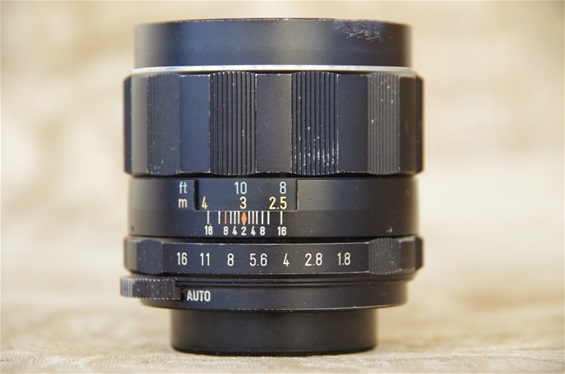 However, the SP II did not have the new contacts. 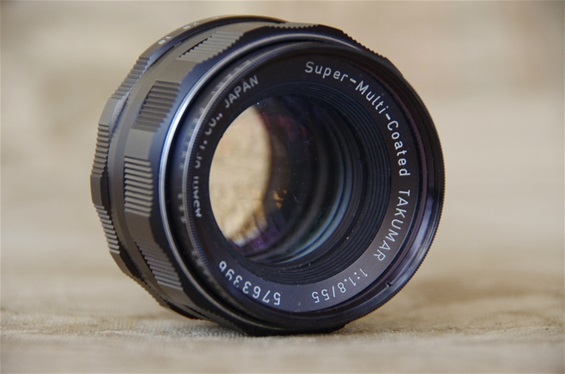 But as all new lenses still had the pin from the Auto and Super-Takumars, they might be used on older cameras as well. Super Takumar to the left, SMC to the right. 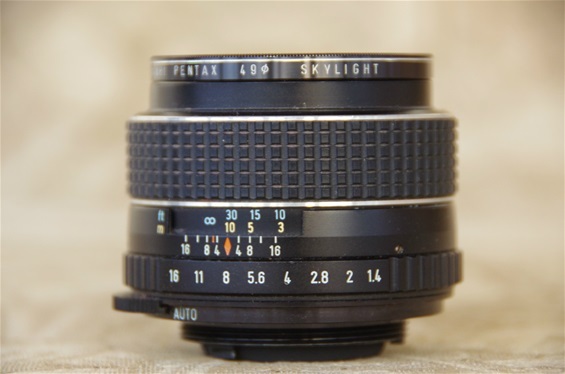 The pin at the bottom is the same as on older lenses, but the contact at the top is new. 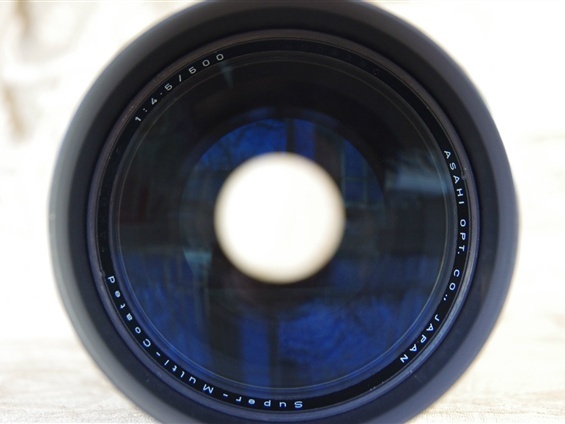 It will move according to the aperture chosen on the lens, informing the camera about its position. 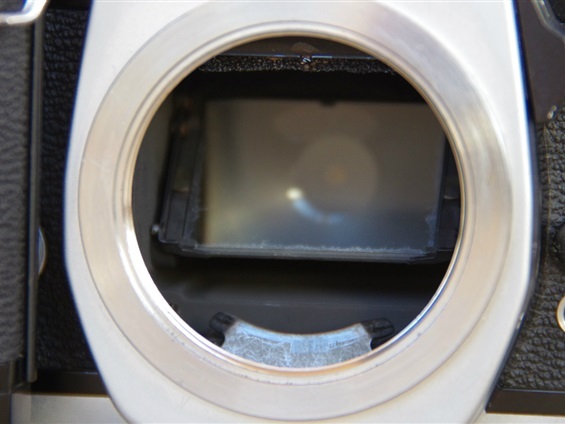 Also note the small contact to the right, corresponding with a likewise small part just inside the mount of the camera. The mount of the Spotmatic, with the plate at the bottom, inherited from SV, S3, S2 and all the way back to the Asahi Pentax K in '58. 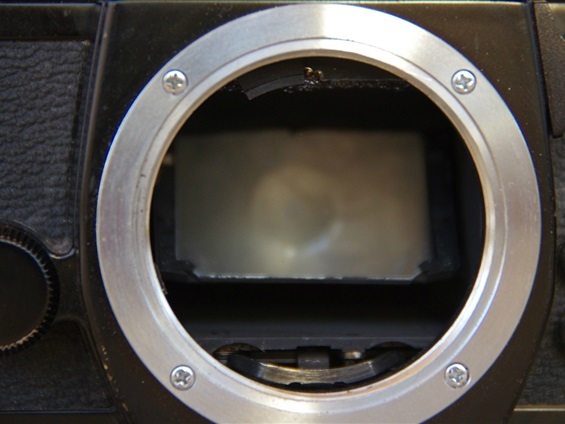 The new mount with contacts to correspond with the new lenses. The biggest one positioned at the top, the smallest one hardly visible to the left. 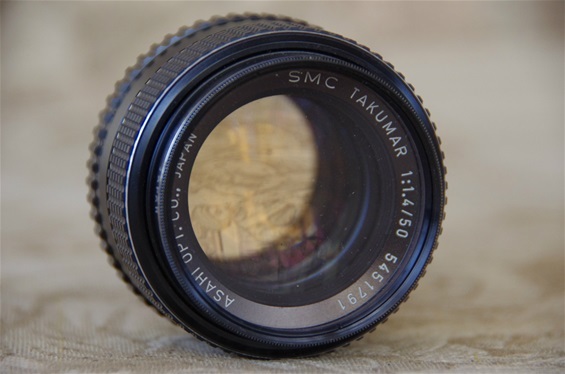 This is a SMC of 1973, which means it was the second series of Super-Multi-Coated lenses. Sn: 541791. 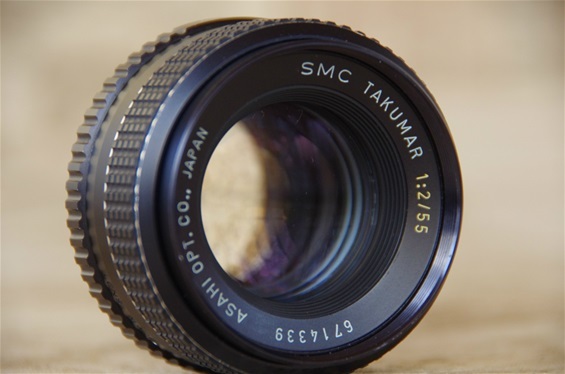 The SMC is visibly different from the earlier S-M-C by the knurled rubber ring around the focus ring. 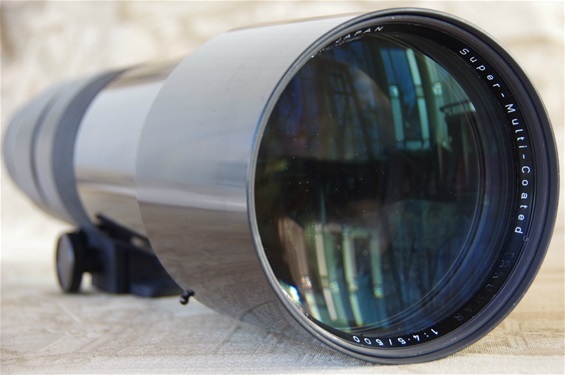 Filterdiameter 49 mm. Weight: 250 gr. Filterdiameter 46 mm. Weight: 164 gr. 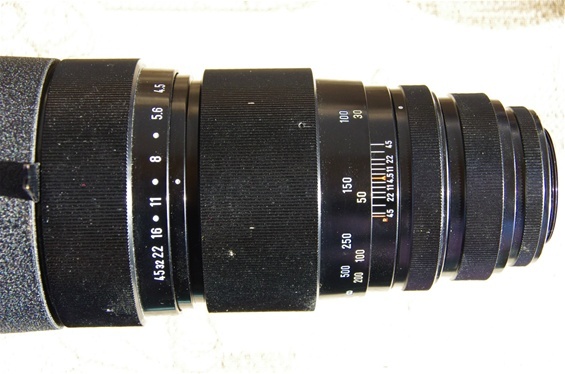 This relative slow 55/2 lens was made for the new low cost Spotmatic, the SP 1000. Sn: 6714339. Filterdiameter 49 mm. Weight 201 gr. 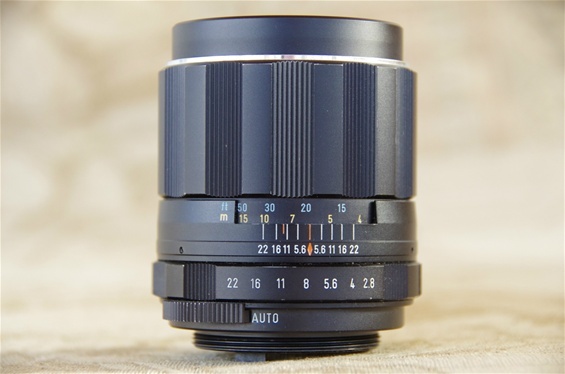 A legendary lens, the 85/1,8, further improved by the new coating. Sn: 5690304. 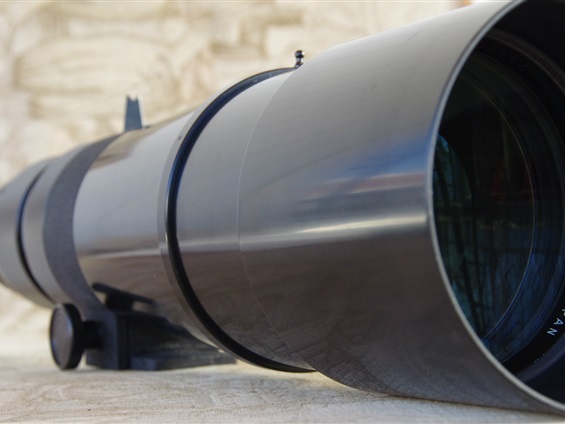 Filterdiameter 58 mm. Weight: 348 gr. Super-Multi-Coated 105/2,8 of 1971. Sn: 7181879. Filterdiameter 49mm. Weight: 290 grams. 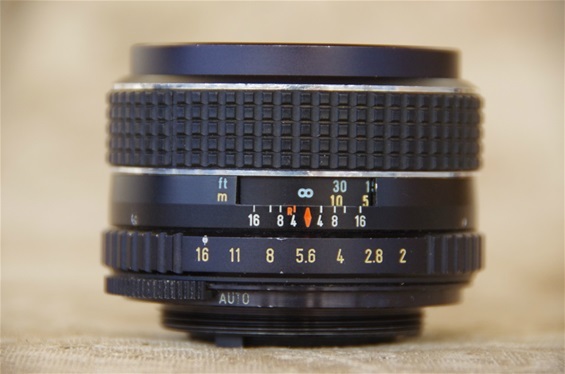 The first edition Takumar 500/4,5 was released in 1966. 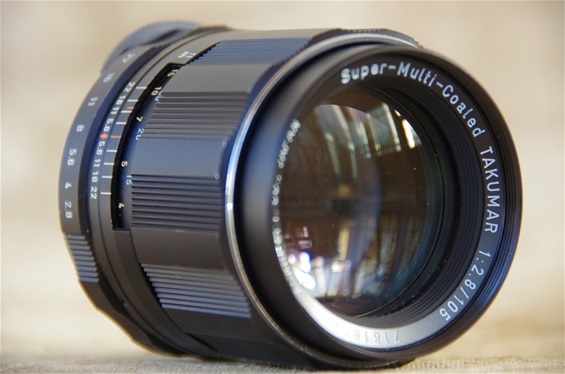 There were no Auto or Super editions, but when the S-M-C lenses were introduced in 1971, this second edition was offered with the SP II and ES models. Sn: 4908380. 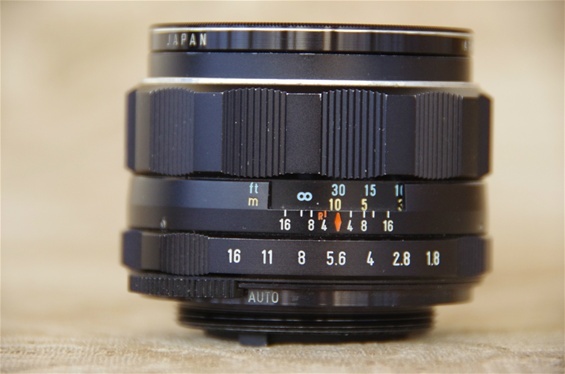 Aperture values from 4,5 to 45. 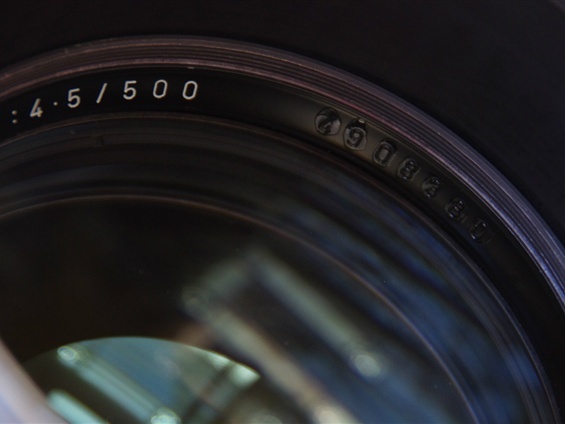 A fast lens. Weight 3.500 grams!